A medium-speed, high-grain colour slide film with a very warm, low-contrast vintage look. Rollei CR200 colour reversal film. 120. 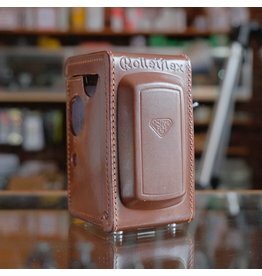 This is the rare brown leather case for the 4x4 (AKA “baby”) Rolleiflex camera. In excellent condition, with only very minor wear. Includes a press-on plastic lens cap. 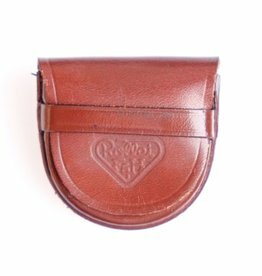 Leather case and cap for 4x4 Rolleiflex. 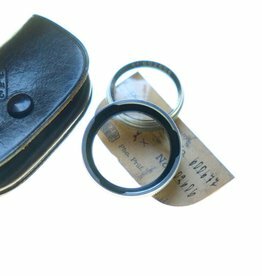 Carl Zeiss Jena Proxar 2 set with leather case. This matched set includes a slip-on viewing lens and a Bay 1 taking lens, designed for certain Rolleiflex cameras. Remember, the viewing lens is a slip-on one. 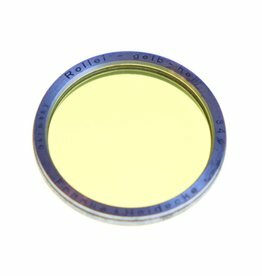 Rollei Duto-1 softening filter for the Rollei Bay 1 filter mount. It’s a Softar, except older. Item may not be exactly as shown. Rollei Bay 1 Duto-1 (softening) filter. 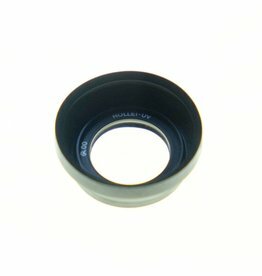 Rollei R00 UV filter and rubber hood for Rollei 35. Filter is in excellent condition with one small coating defect (not a scratch) whcih will not affect images; hood shows some rubber aging but works well. 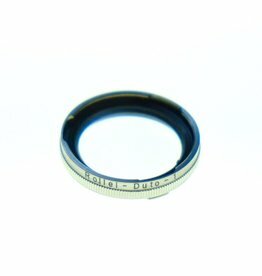 Rollei R00 UV filter and rubber hood for Rollei 35. 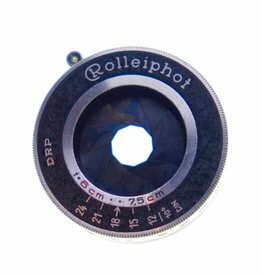 The Rolleiflex Graduated Filter for black & white film includes a graduated yellow filter and a filter holder which slips onto a Rollei BI or BII lenshood (not included). In excellent condition, with only very minimal wear; original case is also included. 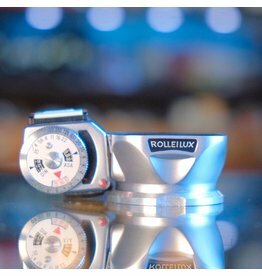 Rollei Rolleilux light meter/lenshood for Bay 1. A rare accessory that combines a classy metal hood and a selenuium-cell light meter. In excellent condition, with original case. And the meter works, in case you were wondering. A very fine-grained, high contrast black and white film. 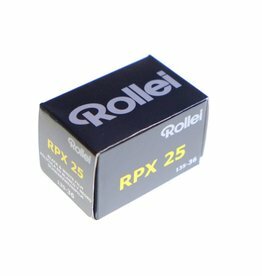 Rollei RPX25 black and white film. 120. A nice medium-speed black & white panchromatic film. Rollei Superpan 200 black and white film. 135/36. 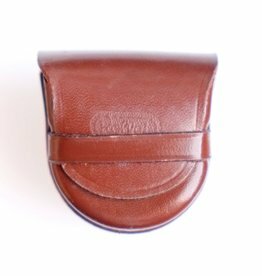 Rollei small leather case for Bay 1 filter with snap closure. 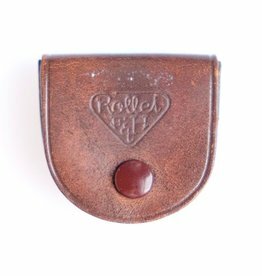 Rollei small leather case for Bay 1 filter. 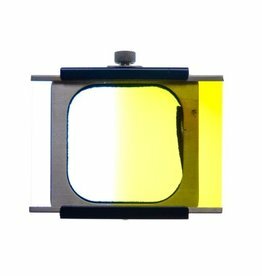 Rollei light yellow (Gelb-Hell) filter for Bay 2 TLR lens fitting. 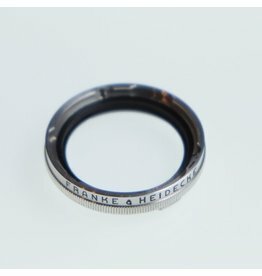 Minor surface marks, some tarnishing on the metal ring, neither of which should materially affect image quality. Includes leather case. Rollei Bay 2 light yellow (Gelb-Hell) filter. Rollei leather case for Bay 1 Rolleinar. 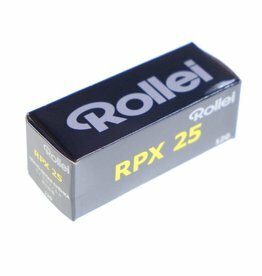 Rollei RPX25 black and white film. 135/36. 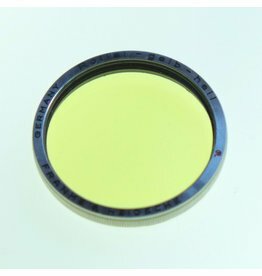 Rollei light yellow (Gelb-Hell) filter for Bay 3 TLR lens fitting. Very minor coating marks. Rollei Bay 3 light yellow (Gelb-Hell) filter. Light marks. Rollei Superpan 200 black and white film. 120. Similar to Retro 80s, this higher-speed film features extended infrared sensitivity. ISO 400, 36 exposures. 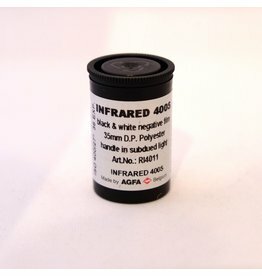 Similar to Retro80s, this higher-speed film features extended infrared sensitivity. 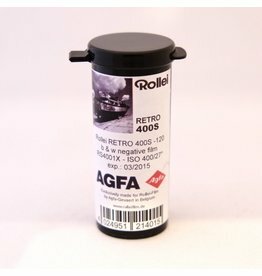 Rollei Retro 400s black and white film. 120. A traditional fine-grained black & white film with distinctive tones and extended IR sensitivity. 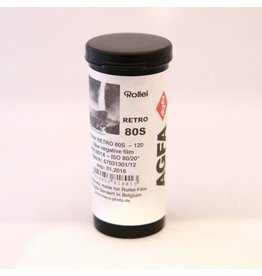 Rollei Retro 80s black and white film. 120. Rollei Rolleisoft1 filter for Bay 1 filter mount. Minor marks. Rollei Bay 1 Rolleisoft 0 filter. An infrared film with sensitivity up to 820nm. 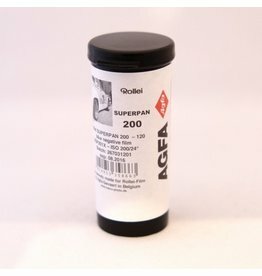 Can be shot with filtration for IR effects, or exposed without filtration at ISO 400 as a standard panchromatic film. Rollei Infrared black and white film. 135/36. 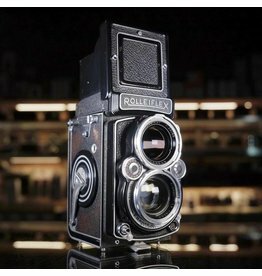 Rolleikin back for select Rolleiflex TLR cameras. 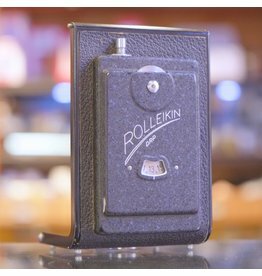 This is the Rolleikin frame-counting back only, no additional parts are provided.